As an attorney defending an antitrust class action, your job is to get your client out of the case as expeditiously and inexpensively as possible. There are several exit points. For example, with a little help from the US Supreme Court’s Twombly decision, you might find your way out with a motion to dismiss, asserting (among other potential arguments) that plaintiffs fail to allege sufficient allegations that a conspiracy is plausible. This is usually the first battle. Next, you could reach a settlement with class-action plaintiffs (and have it approved by the Court). This could happen at any point in the case. Oftentimes, case events that change expectations will prompt a settlement—i.e. a Department of Justice decision to drop an investigation or an indictment. Third, you might prevail on summary judgment (or at least partial summary judgment). One means to winning on summary judgment is to disqualify plaintiff’s expert with a Daubert motion. Fourth, you can win at trial. Fifth, if you lose at trial, it is time to find an appellate lawyer. So far, these methods to get out of court look just like any other antitrust case (or commercial litigation matter). An attorney defending an antitrust class action, however, has extra way to get its client out of the case: Defeating Class Certification. (like the defendants did in the Lithium Ion Batteries case, which we wrote about here). Defense attorneys are increasingly turning to class certification as a primary battle point to get their clients out of federal antitrust class actions. An antitrust class action usually alleges some form conduct that is a per se antitrust violation in which the damages are a small amount for each class member. For example, an antitrust class action plaintiff might allege a price-fixing conspiracy among the major manufacturers in a particular industry. Plaintiffs may allege that the damage is just a few dollars or cents per plaintiff, but collectively the damages are in the millions or tens or hundreds of millions (or more). Thus, if the Court denies plaintiffs’ motion to certify a class (barring appeal), each individual plaintiff must sue. And since each only has damages of a few dollars or less, litigation just doesn’t make sense. That, in fact, is the point of Federal Rule 23 and class actions generally—to allow relief when the aggregate harm is great but the individual harm is miniscule. A defendant that can defeat class certification effectively wins the case. 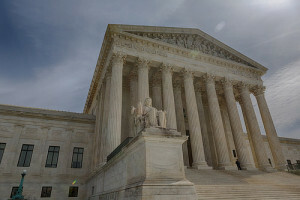 The US Supreme Court made this task easier for attorneys defending antitrust class actions in the 2013 classic antitrust case of Comcast Corporation v. Behrend, written by the late Justice Antonin Scalia. Back in my DLA Piper days, I wrote about the Comcast case for the Daily Journal shortly after the Supreme Court published it. This case involved a class action against Comcast that alleged that Comcast’s policy of “clustering” violated Section 1 of the Sherman Act. Clustering is a strategy of concentrating operations within a particular region. Plaintiffs alleged that Comcast would trade cable systems outside of their targeted region for competitor systems within their region. This would limit competition for both parties, by concentrating the market for each region with fewer cable providers. But that wasn’t the issue the Supreme Court addressed. 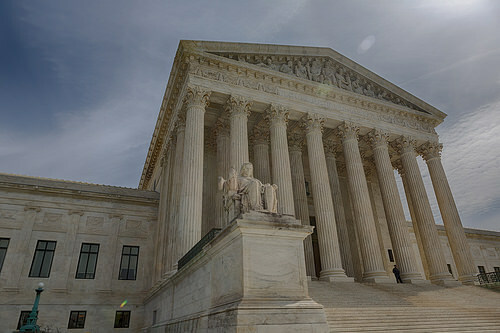 The Supreme Court in Comcast v. Behrend instead sought to determine whether the district court properly certified the class action under Federal Rule of Civil Procedure, Rule 23(b)(3), which is known as the predominance requirement. You can read our article about a California antitrust decision rejecting class certification here. If you want to learn more about how Bona Law approaches the defense of antitrust class action cases, read here. Before we get into that, let’s back up a little bit. First, some of my background in this area: As you may know, I spent most of my career after law school and clerking with large international law firms. While I was with Gibson Dunn and DLA Piper, I spent substantial time representing defendants in class action cases, mostly of the antitrust variety. As of the publication date for this article, Bona Law is currently defending a client in an antitrust class action in federal court. For a class action to succeed, the Court must certify it as a class action. That isn’t a rubber stamp. Perhaps many years ago it was—before Courts began applying a “rigorous analysis”—but that is a story for another day. To achieve certification, plaintiffs must satisfy what are called the Rule 23 requirements. The details of the class certification requirements can fill many law review articles and books. We will just hit the highlights here. The first requirement—numerosity—is rarely in dispute in an antitrust case unless the class action is somewhat unusual. The second requirement—that there be questions of law or fact common to the class—is important and can be fatal, but is usually subsumed in a more difficult question involving predominance, which we will discuss shortly. The third requirement, typicality, often presents interesting issues, but is beyond the scope of what we will discuss here. The fourth requirement requires the judge to determine both whether the class members are situated to protect the class and whether their attorneys are qualified to protect the class. In addition to the Rule 23(a) requirements, plaintiff class members must also satisfy Rule 23(b) mandates. There are three different options for plaintiffs, depending upon the nature of the lawsuit. We will focus on Rule 23(b)(3)—the one most commonly at issue and the provision relevant to the Comcast case. To obtain a Rule 23(b)(3) certification, the plaintiffs must show predominance—that is, they must convince the Court that “questions of law or fact common” to the class members “predominate” over issues that affect only individual members and that a class action is superior to other methods to adjudicate the controversy. As you might imagine, this isn’t an easy determination for a Court to make without delving into the merits of the case. And that, in fact, has been a major issue over the years—how much can a Court analyze the merits in making its Rule 23(b)(3) class certification decision. A Court is required at this stage to undertake a “rigorous” examination, whatever that means. That is probably enough background for most of you. Let’s get back to the Supreme Court’s Comcast case. Plaintiffs presented four possible theories of antitrust impact for the clustering allegations. The Court rejected three of them, but accepted as a possibility the theory that “Comcast’s activities reduced the level of competition from overbuilders—companies that build competing cable networks in areas where an incumbent cable company already operates. The district court, in fact, found that the damages from the overbuilder theory could be calculated on a class-wide basis. As is typical, the plaintiffs relied on an expert economist to establish a damages model at class certification. The key for plaintiffs is to show that the model can calculate damages on a class-wide, as opposed to an individual basis. In Comcast, the plaintiffs’ expert presented a regression model that calculated the but-for damages, but did it based upon the aggregate of all four theories of antitrust impact, even though the Court rejected three of them. Thus, the damage theory didn’t match the Court’s accepted liability theory for antitrust impact. The Court of Appeals didn’t have a problem with this shortcoming because it viewed defendants’ attack as an attack on the merits, which it didn’t think permissible. The US Supreme Court disagreed. First, and importantly, the Supreme Court reemphasized that the rigorous analysis required of Courts at class certification will frequently entail “overlap with the merits of the plaintiff’s underyling claim.” That is okay, and expected, concluded the Court. While this may not seem like a big deal, this marks an endpoint of sorts for the prior battle over whether Courts can even consider the merits in analyzing class certification motions. Second, undertaking a proper analysis, the Supreme Court held that it is clear that the current model presented by plaintiff’s expert fell short of establishing that damages are capable of measurement on a class-wide basis. Thus, plaintiffs did not meet the Rule 23(b)(3) predominance requirement of showing that common questions of (in this case, damages) will predominate over individual damage issues. The problem, of course, was that plaintiffs’ expert’s damages model did not match the only theory of antitrust impact that the trial court accepted. Class action plaintiff attorneys have, not surprisingly, advocated for a narrow interpretation of Comcast, seeking to limit it to the requirement that the damages theory must match the liability theory, or something similar. Indeed, they often argue that the Comcast decision didn’t really make new ground. Defendants, of course, disagree. But rather than delving into that debate, consider that beyond the specific factual/legal result in Comcast is the admonition to lower courts that class certification is not a rubber stamp—plaintiffs can’t just provide any method of classwide expert proof; they must match the actual facts in the case. In many ways, the Court’s decision is a step in the direction of requiring a Daubert analysis to expert evidence at class certification, which many lower courts have done. A trial court should heavily scrutinize the methodology of expert reports at the class certification stage to ensure a “fit” to the actual facts and theories of the case. Federal district judges possess great discretion in managing class actions. One result that I have observed since the Comcast decision is that class certification has taken on greater importance and, as a result, has often moved to later in the case, to provide plaintiffs with more time and material to present a substantive expert proffer. From the defendants’ perspective, this has both an upside and downside. The upside is that the burden on plaintiffs is greater, along with the likelihood that class certification will serve as an exit to the case (with the settlement implications that this entails). The downside is that it is any exit will come later than it may have in the past. By the way, either side can seek appellate review of a class certification decision by the trial court. The means is Federal Rule of Civil Procedure 23(f). If this is applicable to you, check out our article on appealing class certification decisions.